Within the famed and award-winning Flying Horse community and country club, The Lodge at Flying Horse in Colorado Springs is one of Colorado’s most desirable boutique resort and meeting destinations. 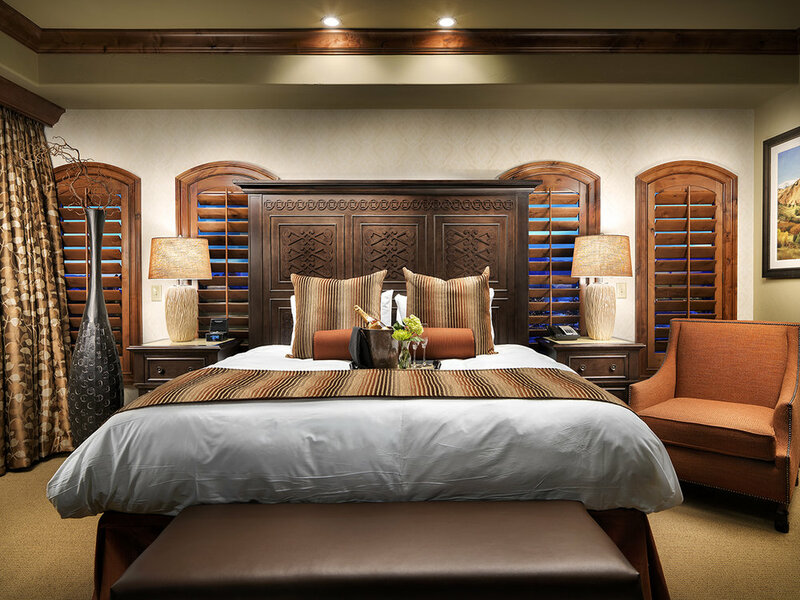 The hotel opened in 2015 and features a “Rocky Mountain Tuscan” style and essence. Offering a rich, warm, sophisticated and elegant color experience with posh, yet comfortable, furnishings and finishes — The Lodge at Flying Horse perfectly complements the stunning Flying Horse Resort facilities and all of its amenities. When you’re ready to discover everything Colorado has to offer, we invite you to book your stay with us. Our resort and hospitality services will make your vacation, corporate meeting, or special event memorable.